When combined with Bender's ground-fault detectors and current transformers, EDS440 modules locate ground-faults in ungrounded AC and DC systems. Using a special measurement signal after a ground fault is detected, up to twelve separate channels are monitored in parallel to identify the corresponding branch or circuit. Multiple EDS modules may be interconnected to expand the quantity of branches scanned. 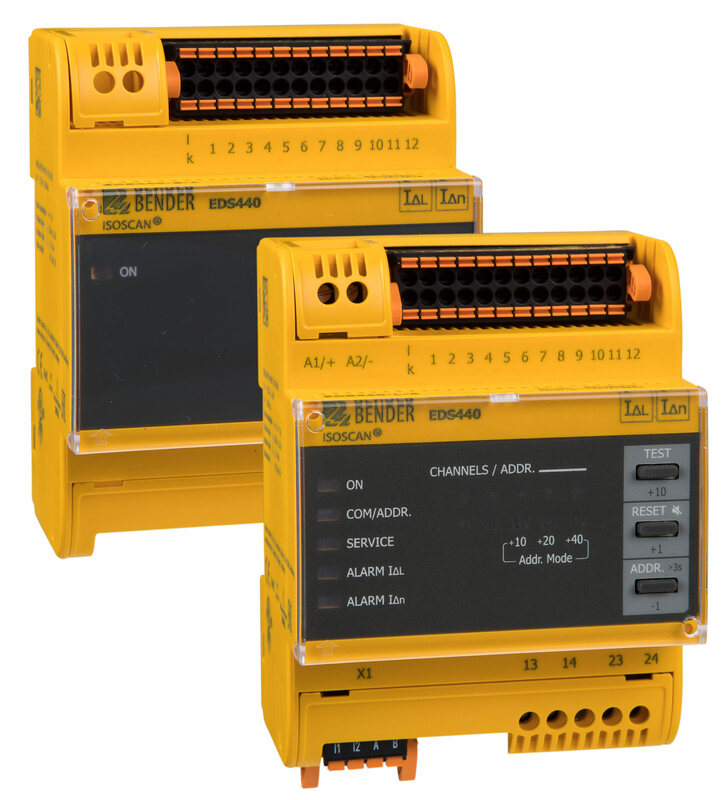 Fault location takes place automatically and while the system remains online, negating the need for opening branch circuit breakers or disconnecting equipment. A complete, installed ground-fault location system requires a ground-fault detector (iso685-D-P for industrial applications, LIM2010 for medical applications) and a single current transformer per circuit or branch. Current transformers vary by application and are available in a wide range of sizes and shapes.